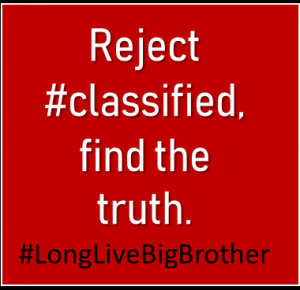 This club has formed in order to bring together truth seekers who reject the "#classified" hashtag and are seeking answers for what it means. We support Big Brother, YWS, and knowledge. We are not a secretive group and are open to any members. We commit to sharing unity building and encouraging hashtags and messages like "Long Live Big Brother" and "Reject the Conspiracy" and "Like the Egg". Join if you are a fellow truth seeker. Isn't it funny how day by day nothing changes but when you look back, everything's different?